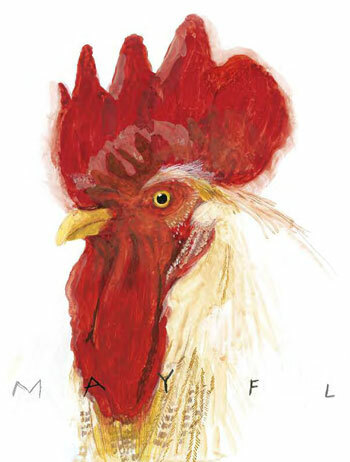 The creators of Good Dog(Knopf) are back with Our Farm: By the Animals of Farm Sanctuary (Knopf), an exquisite collection of poems and paintings about the real residents of United States farm animal rescue and advocacy organization Farm Sanctuary’s shelters. Readers will meet Maya the cow, J.D. the piglet, Hilda the sheep and a dozen more animals in their own voices through Gottfried’s delightful poetry. Master artist Robert Rahway Zakanitch provides a portrait and pen and ink sketches for each poem that perfectly capture each animal’s unique personality. Their collaboration has created a vibrant portrayal of life on the happiest farm around, ideal for young animal-lovers and their parents. Read about the book at the publisher's website. Purchase - You can purchase a copy of Our Farm: By the Animals of Farm Sanctuary (Knopf) directly from Farm Sanctuary! 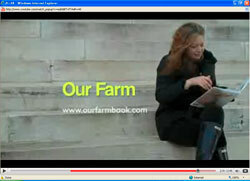 Watch the Our Farm video on YouTube.